The DES-3000 series switches are high-performance managed Layer 2 switches that provide an ideal solution for workgroups and departments. These switches present a great entry-level managed solution for the SMB just starting out or the already established business looking to bring a managed solution to the desktops. These switches provide fiber uplinks for connection of small groups of users over a larger distance such as on a campus and between indoor departments or school classrooms. With powerful switch fabric and abundant processing memory, the DES-3000 series provides wire-speed high performance for departments and workgroups. These switches include support for traffic segmentation that isolates ports to protect privacy. They allow you to migrate end users to an 802.1x environment when existing workstations support the 802.1x authentication protocol. By supporting industry approved specifications, the DES-3000 series leverages your existing investment in a multi-vendor environment, while maximizing compatibility of business with critical features like Spanning Tree (802.1D and 802.1w), QoS (802.1p), port mirroring and network management. These switches provide robust support for standard-based management protocols such SNMP, RMON, BOOTP, Telnet, web and port mirroring, enabling you to integrate them into many third-party network management packages. 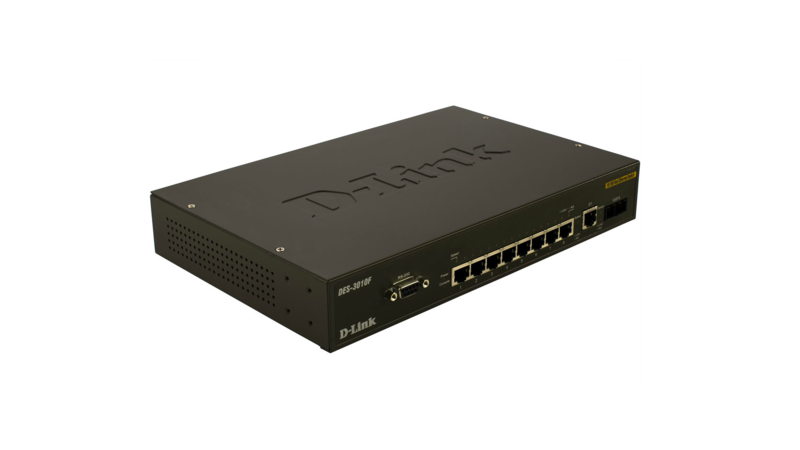 The DES-3000 series switches bring advanced enterprise functions to a more affordable level while supporting advanced features: 802.1p and portbased QoS/CoS, rich security and management features such as port-based/MAC-based 802.1x authentication and bandwidth control. These switches also support many of the features you would expect to see on a larger managed solution such as: IGMP snooping, 802.3ad Link Aggregation, 255 VLANs, traffic segmentation, traffic monitoring and SYSLOG. With D-Link Single IP Management client support, the DES-3000 series can be attached to a higher-level core switch such as a DES-6500 chassis or a D-Link xStack to form a virtual stack. The DES-3000 series can form a workgroup or departmental stack providing 10/100Mbps speed with Gigabit uplinks to the core switch. The DES-3000 series simplifies and speeds up your management tasks, as multiple switches can be configured, monitored and maintained from a management station through one unique IP address.